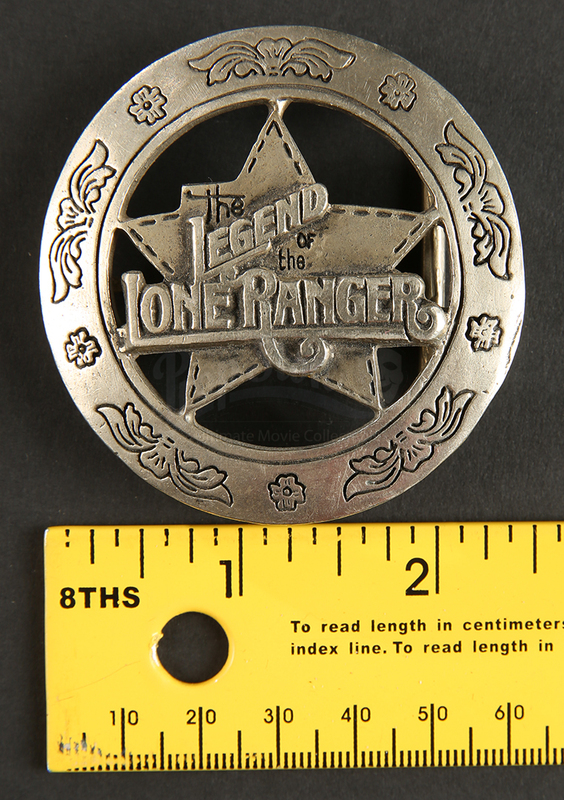 A belt buckle from William A. Fraker's 1981 Western adventure, The Legend of the Lone Ranger. 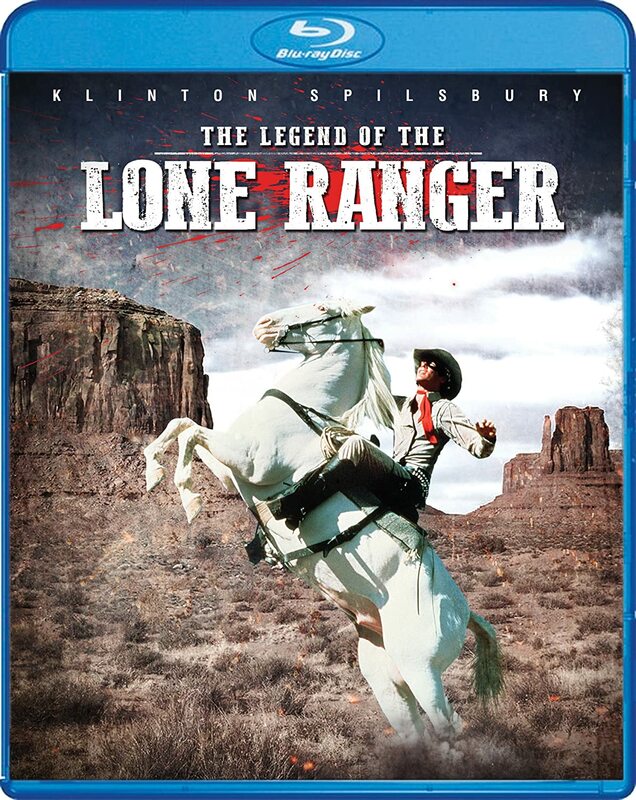 In the movie, the sole surviving Texas Ranger of an ambush arranged by Butch Cavandish (Christopher Lloyd) returns to fight back as a masked hero (Klinton Spilsbury). 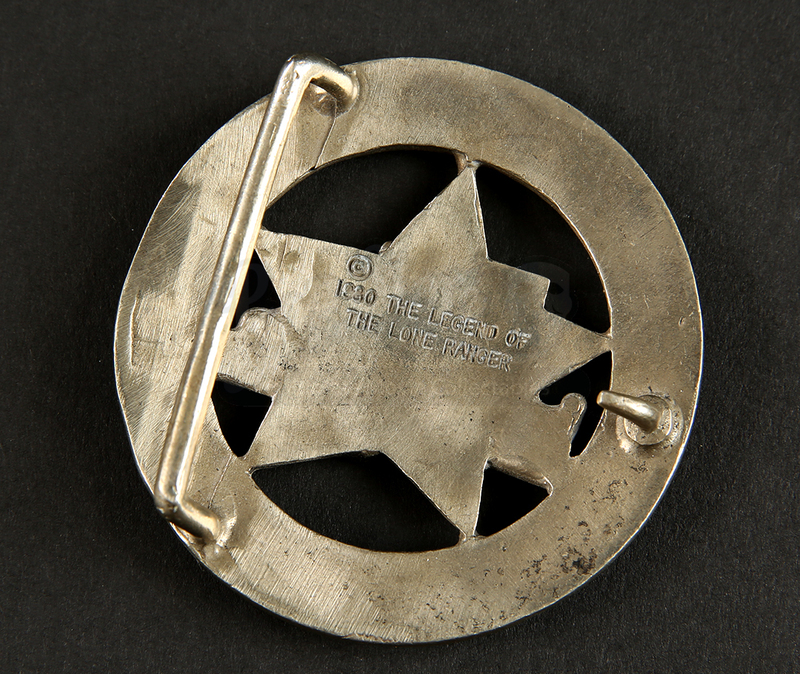 Buckles like this were given to cast and crew as a gift when the production was completed. Coming from the collection of stuntman Terry Leonard, this circular belt buckle features a cut out of five pointed star with "The Legend of the Lone Ranger" in raised and engraved characters. This belt buckle features floral stamps, as well as decorative "stitching" around the edges of the star. 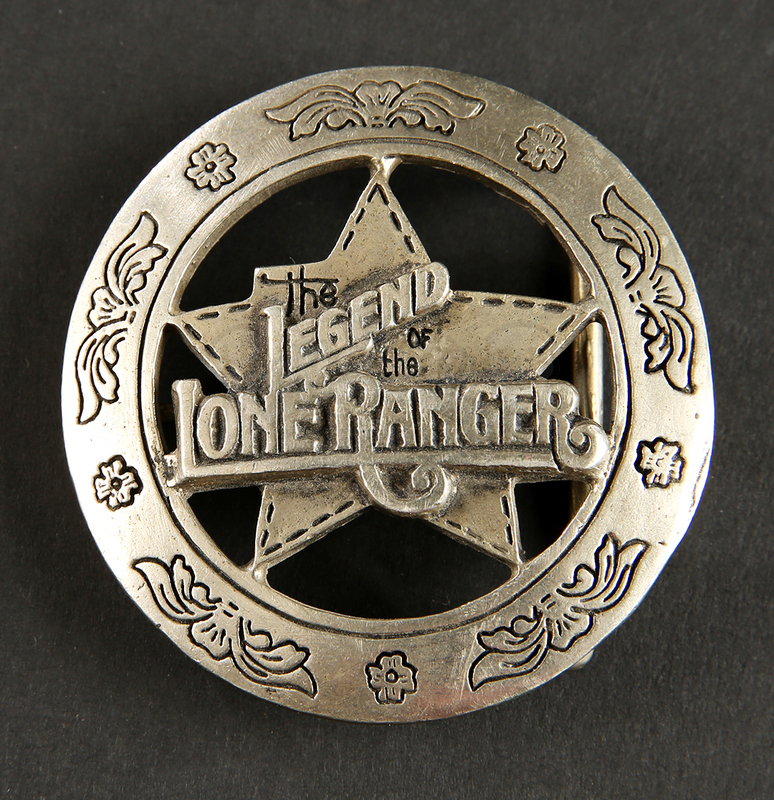 The back of the buckle is stamped "1980 The Legend of the Lone Ranger." A simple bar and hook allow this buckle to be attached to the belt of your choosing. This item features some signs of wear from use and age, including a slight tarnishing of the metal, but remains in overall excellent condition.